As promised, Volition has announced a new project at PAX, and as expected , it's more Saints Row . It isn't a new game, however, but a standalone expansion to Saints Row IV called Gat Out of Hell. Volition all but acknowledged earlier today that its big reveal at PAX would be something related to Saints Row, so this isn't exactly a surprise, but I was expecting an entirely new game, not an add-on. Still, this one looks like fun: As the predictably ridiculous announcement trailer reveals, the Saints are sucked into Hell through a Ouija board and must do battle with its bizarre denizens in order to escape. 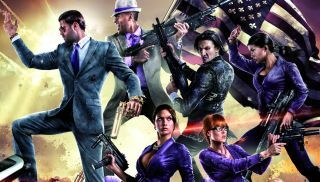 Saints Row: Gat Out of Hell will sell for $20 and, notably, is a "standalone expansion" that won't require the original Saints Row IV to play. It launches on January 27, 2015.